While Canadian sales of passenger cars slid 5% in January 2017, the biggest, boldest, flagship luxury limos posted a 24% year-over-year improvement. 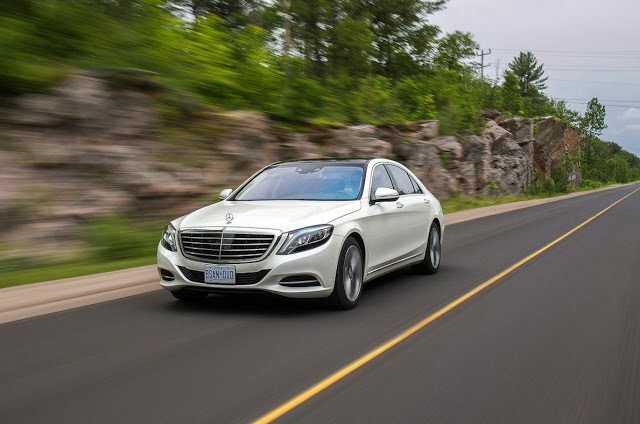 Led by the Mercedes-Benz S-Class’s 75% uptick to 70 January sales, sales across the category grew by 39 units. Sales of the Audi A8, BMW 7-Series, Jaguar XJ, and Maserati Quattroporte also increased. Granted, January is an exceptionally low-volume month for the Canadian auto industry even when, as in January 2017, sales climbed to the highest January level ever. Assuming January’s results point to a trend for the 2017 calendar year would be foolhardy. Yet there will be a new Lexus LS. And if that car can turn around Lexus’ fortunes in a category where Canadians have traditionally rejected Lexus, perhaps the category as a whole could be boosted. You can click any model name in the tables below to find historical monthly and yearly Canadian auto sales data. You can also select a make and model at GCBC’s Sales Stats page. This table is sortable, so you can rank large luxury cars any which way you like. Suggestions on how GCBC should break down segments can be passed on through the Contact page. Mobile users can now thumb across the table for full-width access. GCBC isn’t here to break down segments, an impossible task for any group, but to display sales data for the sake of comparison. You can always find the sales results for EVERY vehicle and form your own competitive sets by using the All Vehicle Rankings posts. Sales data for brands such as Aston Martin, Ferrari, Lamborghini, Lotus, Rolls-Royce etc. are unfortunately not made available in Canada. Tesla doesn’t release a monthly Model S sales report, either. estimates for Ferrari, Lamborghini, and Rolls-Royce were 20, 15, and 8 units, respectively, in January. Tesla sold 122 Model Ss per month in 2016. GCBC shows the Cadillac XTS and CT6, Hyundai Equus, Lincoln Continental, and Kia K900 with midsize luxury cars not because of their size, but because the price points are much more directly comparable.